Hit a home run with Burndy, Greenlee, Cementex and Brother. 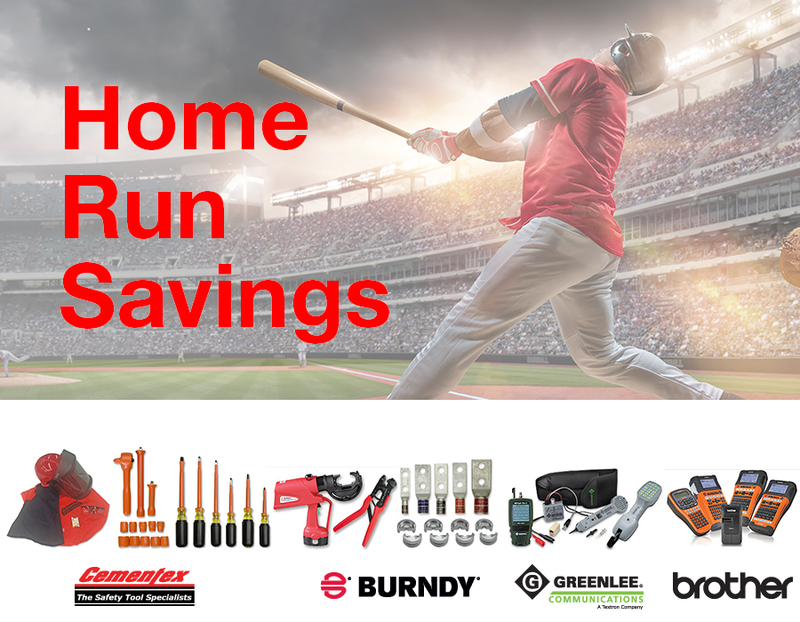 Buy any of these products and qualify to win tickets to a baseball game of your choice ($250 value). There will be 4 game ticket prizes, one for each manufacturer. The more you buy the increased chance you have of winning tickets to the game of your choice. Promotion will end 5/31/19. If you are a winner we will notify you and make arrangements for you to receive your game tickets.